Fixfast – one of Europe’s leading specialist building component manufacturers – has selected FastClose to get the most out of their Epicor ERP system. Using FastClose – an Accounting Intelligence software company – financial reporting for Product Profitability by Customer has been massively improved leading to significant improvements in the analysis of margins. Ken Lynes, CEO of Fixfast, read an article from FastClose discussing how one of Epicor's best accounting features – dynamic segments – was rarely used by companies, so he called in Nick Gomersall of FastClose to dig deeper. After an initial meeting and demo explaining how Epicor’s dynamic segments (automated postings of account code segments) plus FastClose could generate high-value management information out of Epicor’s ERP, Ken tied in Clear Business Outcome (CBO), an Epicor business partner, to arrange a joint meeting to set up the extra segments. Russell Howden, Fixfast’s finance controller, explained further, “We were surprised that we were not told about dynamic segments in our initial training from Epicor. We implemented four standard segments in our chart of accounts, even though Epicor can have up to 20. “When FastClose came down to see us, they explained what dynamic segments were and how they could be automatically populated by updating the posting rules. We were impressed by the potential benefits as you can get detailed product profitability by customer, with no additional work, once the posting rules for AR and Cost of Sales are updated. “We worked with CBO and FastClose to add two dynamic segments to our general ledger, and change the necessary Epicor posting rules. We gained everything that FastClose promised. Nick Gomersall, CEO at FastClose, explained, “The reason why dynamic segments are not pushed is that, with standard Epicor, their tools have no easy way to take advantage or report on them. So they are just ignored and accountants have to dive into other tables and try to pull some sensible information out in other ways – which is hard and often highly time-consuming to do. “FastClose is a multi-dimensional reporting and enquiry tool that makes rolling up various segment balances, and drilling on these numbers to the detailed transaction, a simple thing to do. This is challenging in standard Epicor as the more segments which get used, the more complex it becomes for getting at balances across segments. 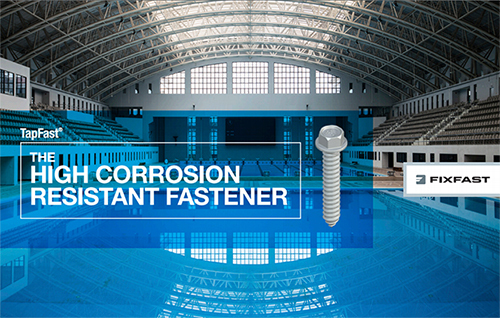 Fixfast Ltd design, manufacture and supply specialist building fastener systems and components for the walls and roofs of industrial, commercial and larger residential buildings. We work closely with key manufacturers, specifiers and contractors in our industry, and this collaboration has resulted in an extensive and unique product range serving the roofing, cladding, facade and safe access markets.